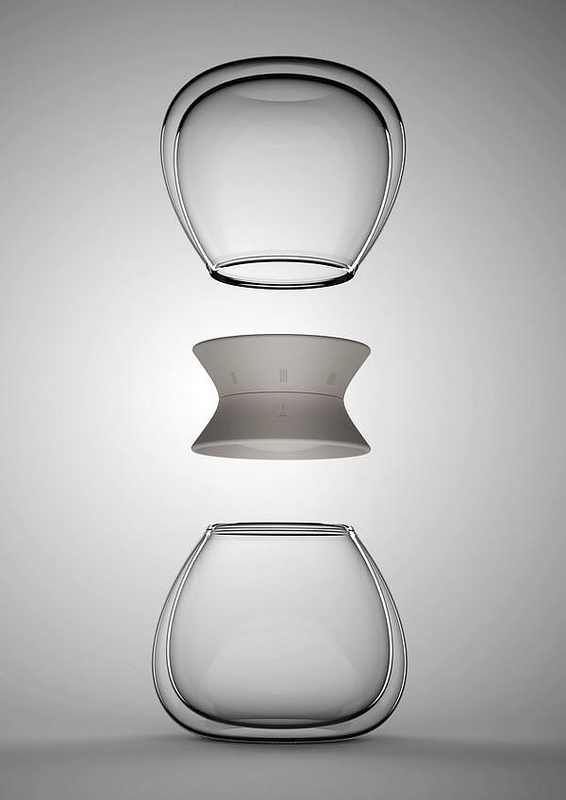 HomeBlogHome DecorTea Time Hourglass Tea Maker by Pengtao Yu. 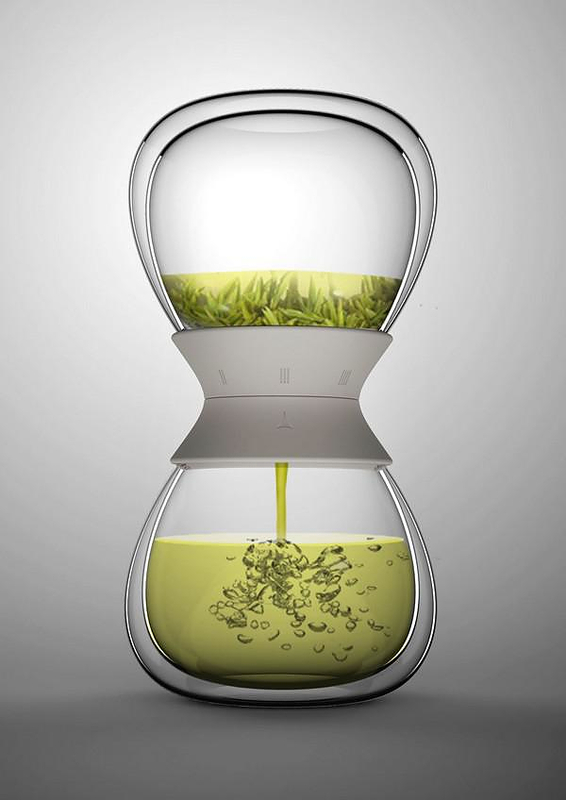 The Tea Time hourglass tea maker by designer Pengtao Yu stands out for its ingenious design and it flawless function that pays tribute to the traditional art of tea making. Tea lovers are very well aware of the importance of the duration the tea should steep. Leaving the leaves in the water not long enough will result to a very weak tasting tea, while leaving the leaves in the water for too long will make the tea taste bitter. 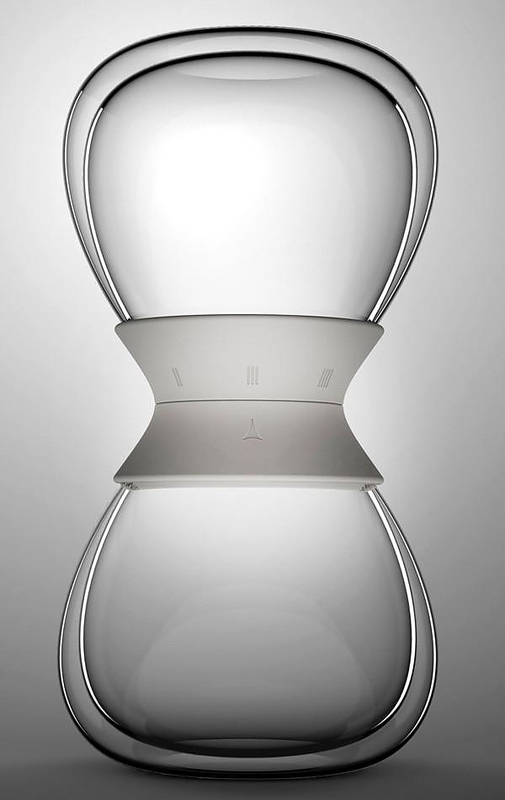 Many tea lovers use a little hourglass in order to correctly calculate infusion time. 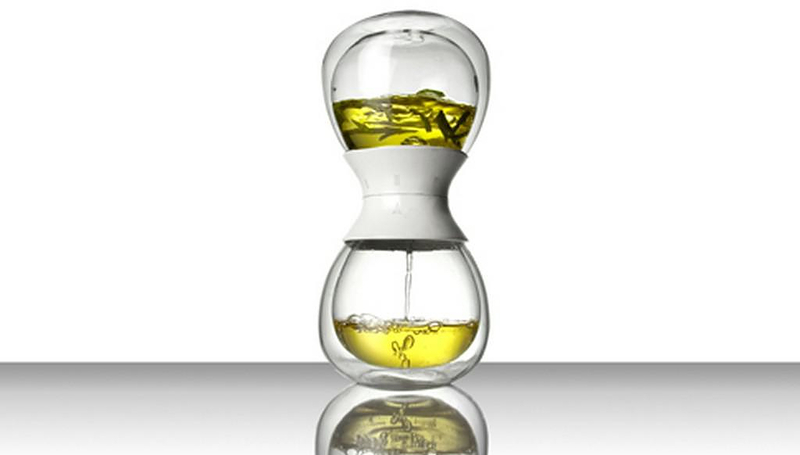 This traditional time measuring tool is the source of inspiration for the Tea Time hourglass tea maker. 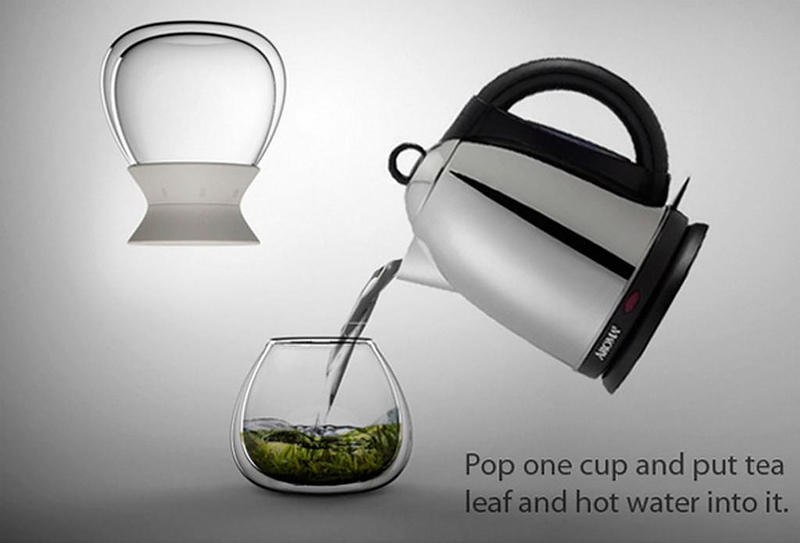 The Tea Time tea maker consists of two double-walled heat insulated glass vessels that are joined together at their rims through a central mechanical timer. 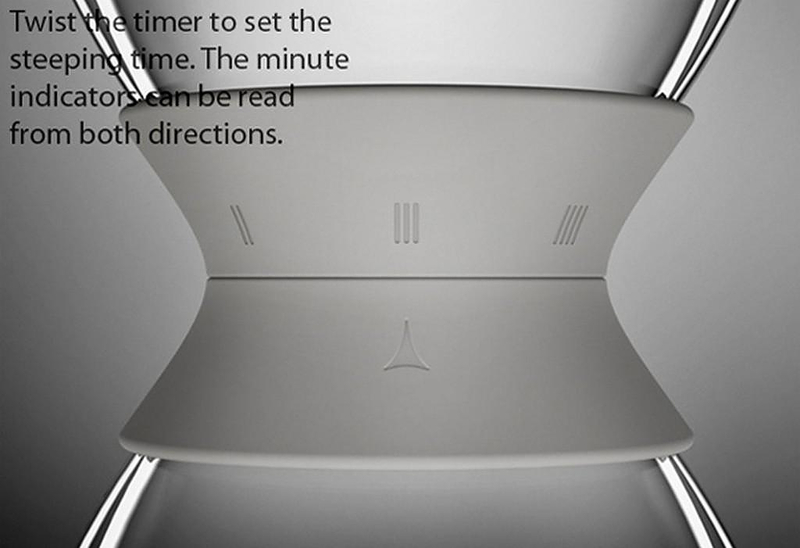 The glasses are adjusted on the timer with special rubber bands. 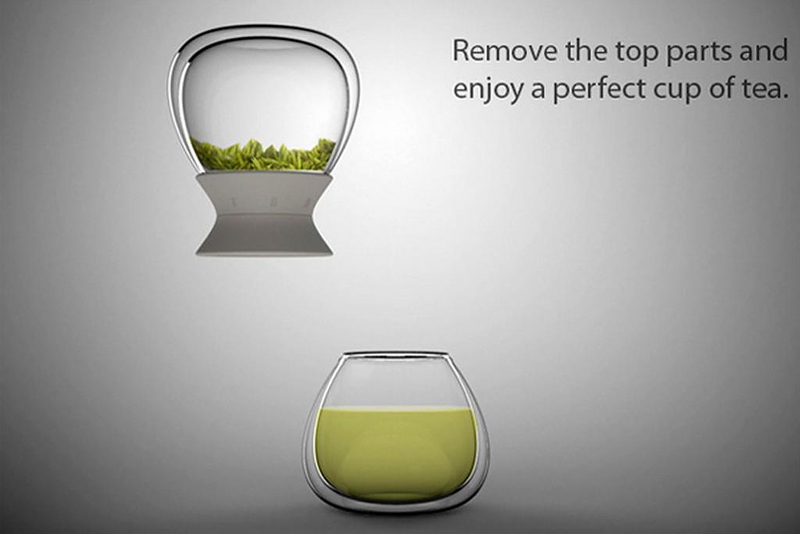 After the tea leaves are placed in hot water in the first glass, the second one is adjusted on top. 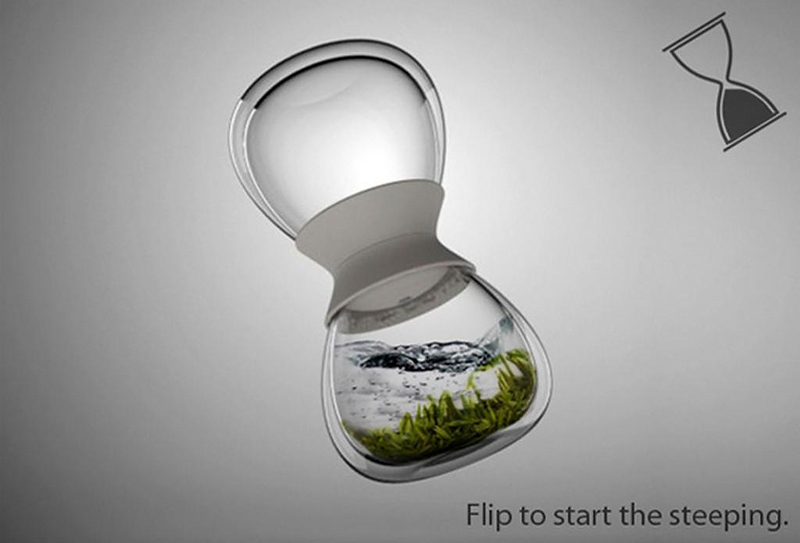 The time is set and the timer goes off when the Tea Time tea maker is turned upside down, just like a hourglass. 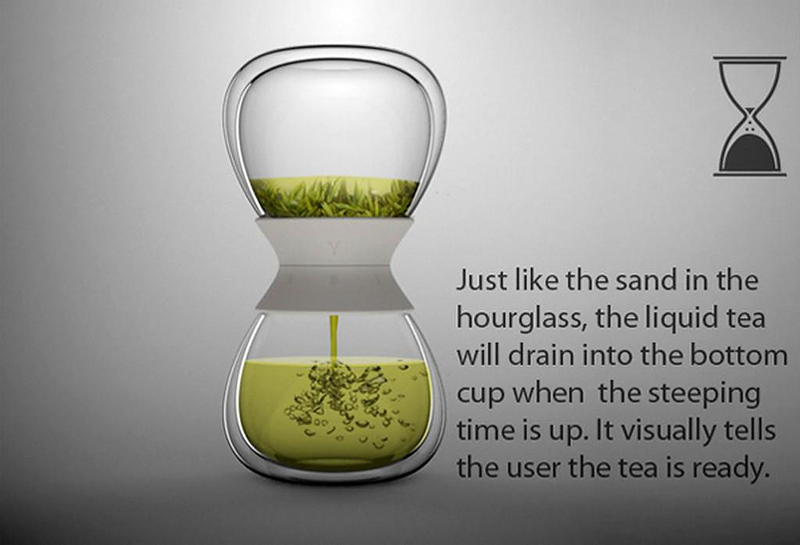 The tea starts flowing in the bottom glass, resembling the dripping sand in an hourglass. 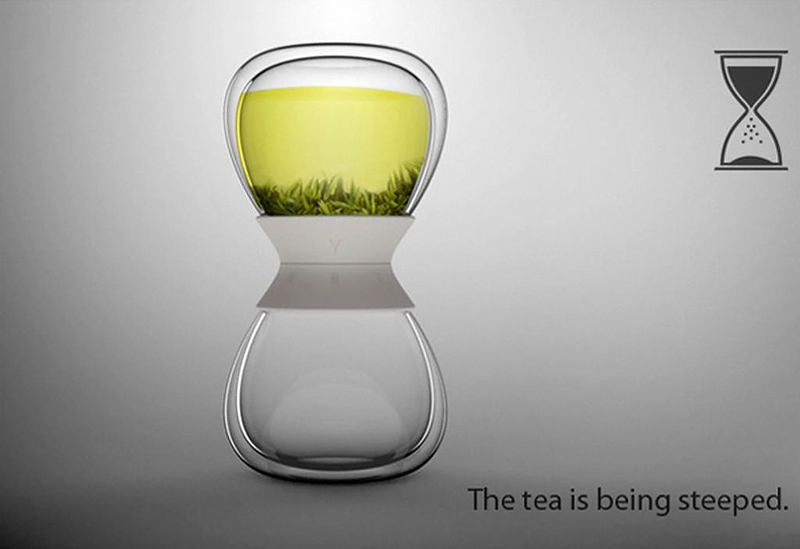 Its timer is mechanical (spring loaded) and not electronic as Pengtao Yu tried to keep the Tea Time tea steeper as low tech as possible and close to the traditional process of tea making. 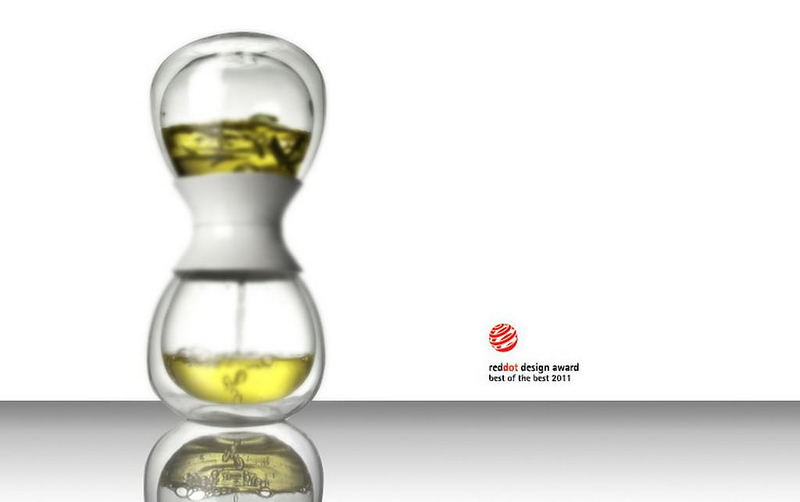 The Tea Time hourglass tea maker is surely a very unique tea accessory and has been awarded with a Red Dot Design Award (Best of the Best 2011) and IDEA award (Bronze).